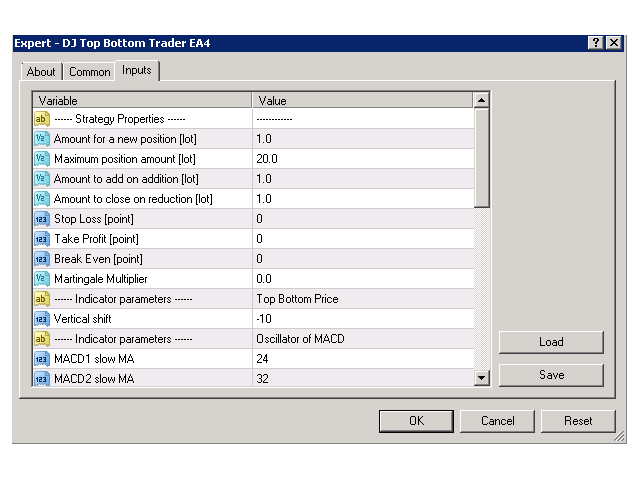 Dow Jones Top Bottom Trader EA5 has its own unique Breakout strategy. It BUYs when the price is near the top and it SELLs near the bottom of the previous bar. It uses 2 MACD indicators with the completed different settings to define trend and effectively filter wrong signals. The EA is ready to work for you.